Our Big Shaman deck list guide for the Rise of Shadows expansion features one of the top lists for this archetype. 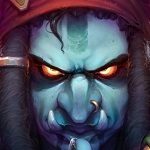 This Shaman guide includes Mulligan Strategy, Gameplay Tips, Card Substitutions, and Combos/Synergies! The core of Big Shaman is perhaps the best-ever deck recipe created by Blizzard: an archetype that seems like a complete meme at first and certainly takes some time getting used to but is actually capable of getting you to decent Legend positions with just a few adjustments. 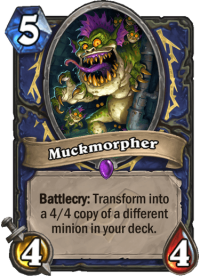 It revolves around using Shaman’s plethora of board clear tools to buy yourself enough time to cheat out massive minions with and Muckmorpher. While you don’t have a dedicated finisher, obscene amounts of value and Al'Akir the Windlord-related shenanigans will often get you there against slower opponents as well. Batterhead provides a nice way to leverage your summoning spells as additional board clear tools in the aggro matchups: since it doesn’t have to overkill to attack again, it can pretty much solo most token-heavy boards. Hagatha's Scheme One of the reasons behind the steep learning curve of Big Shaman is its complicated mulligan decision tree. Basically, there are no two matchups with the same optimal opening strategy and the combo-y nature of the deck means you often have to consider card combinations in hand instead of individual ones. As such, we’ve decided to deviate from the usual mulligan writeup and list the more prominent matchups one by one instead. There is just one exception: Hagatha's Scheme is a must-have in all cases, either as a guaranteed early board clear against aggro or a potential hard removal option in the slower matchups. Everything else, as you’ll see below, is subject to specifics. Control Warrior – Keep Ancestral Spirit and Big Bad Voodoo so that you can stick a nasty threat as soon as possible. Prioritize a mid-game threat with either Muckmorpher or Eureka!. If you’re not under pressure, don’t commit before you have the mana to also cast the re-summon spell. Keep Far Sight to bank mana in the early turns where not much is happening. Token Druid – You absolutely must have a board clear; mulligan everything if you don’t have one in hand. Otherwise, Earth Shock is a lovely utility tool that can shut down an early Acornbearer. If you have a board clear on tap, Muckmorpher is worth holding onto. Keep Eureka! and Walking Fountain together, ditch the latter otherwise. Mech Hunter – Keep Earth Shock and Hex. Prioritize a mid-game threat with either Muckmorpher or Eureka!. Zoo Warlock – Keep Lightning Storm and Earth Shock. Even one of those is enough to otherwise mulligan-for mid-game cheese. 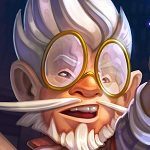 Tempo Rogue – You’ll specifically need an early Walking Fountain or Batterhead to clear the board in this matchup, therefore you should keep those minions and fish for Eureka!. Since Rogue can dish out so much damage from hand, this takes priority over AoE clears: they will not be enough to stabilize by themselves unless you stick something on the board and heal back. Conjurer Mage – Hard-mulligan for Hagatha's Scheme. Keep Earth Shock. If you have both, go for a mid-game threat with Muckmorpher/Eureka!. Keep Far Sight to bank mana in the early turns where not much is happening. Control Shaman / mirror – The first player to stick a board usually wins in this matchup, so you have two ways to approach this: either by maximizing your odds to get a development edge with Muckmorpher and Eureka! or by setting up two sets of removal tools with Hex and to punish the other player’s early commitment. You should prioritize whichever your opening hand already has cards for; if you’re on the coin, tilt towards the more aggressive gameplan. Your performance in aggro matchups will likely be what determines whether you plummet to the rank floor with this deck or soar all the way to Legend. (I’ve done both while researching this guide!) Your goal is to carefully portion the removal tools available to you early on until you reach a point where you can cast one or two huge minions that help you restore parity. 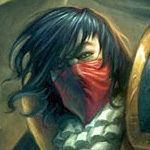 Muckmorpher is arguably even more critical to your anti-aggro plan than in the control matchups simply because the reduced window of time available to you to impose yourself on the game: with Zilliax, Walking Fountain, Al'Akir the Windlord and Batterhead, it’s often going to provide crucial two-for-one initiative, potentially alongside some health recovery. Speaking of which, don’t be afraid to take a few punches early on: as long as you’re not in immediate lethal range, the aforementioned late-game tools will almost always let you recover your health. 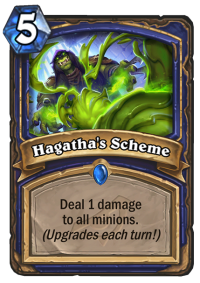 Sacrificing ten hit points for an extra tick on Hagatha's Scheme is often correct if it sets up for a full clear. That said, sometimes you’ll have to evaluate whether you’ll have to roll the hard six: in certain cases, you’re better off with the 50% chance of hitting the correct minion off of Eureka! rather than trying to stall until turn eight and play the legitimate copy. Another crucial aspect of these matchups is the mana management: you have so many expensive cards that an ill-timed Overload effect can pretty much lock you out of your next turn. As such, you need to carefully plan your turns ahead of time to make sure you’ll be able to cast your board-flipping minions on turn eight. Once you’ve established a board presence, focus on value-trading. Eventually, you’ll recover all your health and then it’s going to be absolutely safe to push on. 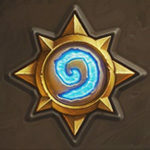 Perhaps the most important thing to realize when playing against control decks is that you’ll need to consciously assume the beatdown role: it’s not at all impossible to run Big Shaman out of cards and the dedicated finishers included in some archetypes will also force you to speed things up somewhat as well. Even against a slower deck like Mech Hunter, you’ll have to flip the board at one point and start pushing face. 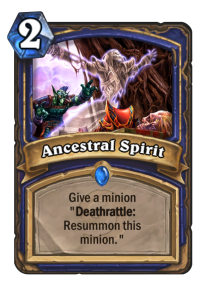 Luckily, the rarity of Silence effects in the current metagame makes our shenanigans with Ancestral Spirit and Big Bad Voodoo all the more viable. Once you’ve established a board lead, make sure you don’t overcommit: you rarely have the option to reload more than two consecutive times, so try and space out your threats. Apart from the Shaman mirrors, most of your opponents will have to manually chew their way through an Ancestral Spirit-enchanted body, so that’s often good enough by itself. If possible, keep Hex for Deathrattle minions and use Hagatha's Scheme for large threats otherwise. While Walking Fountain can be surprisingly effective pressure once it sticks on the board, your best bet is to cast as many copies of Ysera as possible, if only because Nightmare and Al'Akir the Windlord is a great way to finish off the game. Big Shaman doesn’t allow much room for experimentation: the nature of the deck greatly limits the minions available to you. The many board clear effects and the summoning spells are also virtually untouchable, and so are the ones that provide you with the juicy Deathrattles. Since mana cheating is also a core part of the archetype, Far Sight and Haunting Visions seem like must-haves as well. This means the flex spots available to you are the two Earth Shocks, Batterhead and Rain of Toads – but my Legend-level playtesting seemed to show that you want at least one of these tools. Earth Shock is excellent against Token Druid, Mech Hunter and Zoo – it also has great utility against any deck with Twilight Drake. Batterhead, as described in the playstyle guide, is an excellent way to keep you alive in aggro matchups. 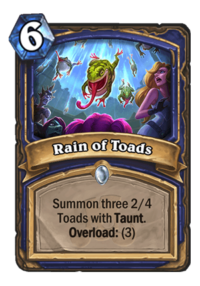 Perhaps Rain of Toads is the weakest card in the deck – the original version featured two of them – because the triple overload is incredibly punishing for this archetype, but it’s difficult to suggest an alternative to it with the current card pool beyond Feral Spirit, which simply feels too small. Depending on the meta you’re facing, you could opt for Zap! for even more early anti-aggro or Lightning Bolt, which doubles as a bit of reach. Really good guide especially on the specific Mulligan’s. Takes a couple of games to get used to but I went 7-2 from rank 4 to 3. I plan on trying this out more! I’m at rank 5 and want to play something fun to legend, you’d recommend this to achieve that if I dedicate to learning the matchups? In the current state, the deck is definitely capable of hitting Legend. I’d say that it’s a low Tier 2 deck, so not one of the best, but good enough. 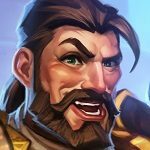 However, keep in mind that we’re just 1 week into the expansion, so the meta still can change heavily. Which can make the deck better, but it can also make it even worse. Thanks so much for the response. This page’s guides and content are amazing, appreciate y’all! I played some of this archetype through Whizbang, which is almost identical (Totem Smash instead of Earth Shock and 2nd Rain of Toads in place of Batterhead). 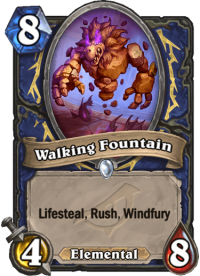 At first look I thought “oh look, another half-baked Shaman deck”, but it’s actually pretty effective and REALLY fun to play. You basically play turtle for the first half of the game and then come back with these explosive swing turns.